I'm not one much for bronzers, I'll admit that straight off. I tend to find them very orange or too dark on me. 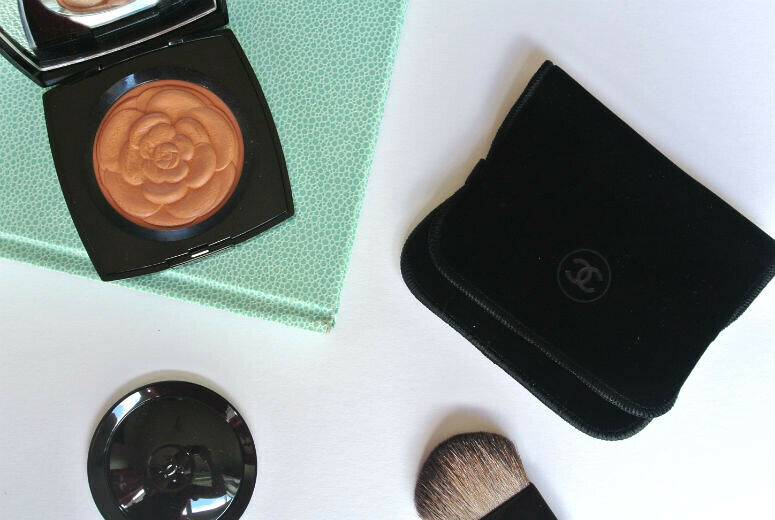 On the one hand, as I always prefer to look fairly natural skinwise, bronzers add a tad too much colour for me. On the other hand, my skin has normally turned too dark for them to even be that visible on me if I've been on holiday. While I do have a couple of NARS Laguna's (they came with some face/cheek palettes, I've never actually gone and bought Laguna on its own), and the Balm's Bahama Mama, I've never actually gone about using them. With the Chanel Lumiere D'ete however, things have gotten a little different around here. 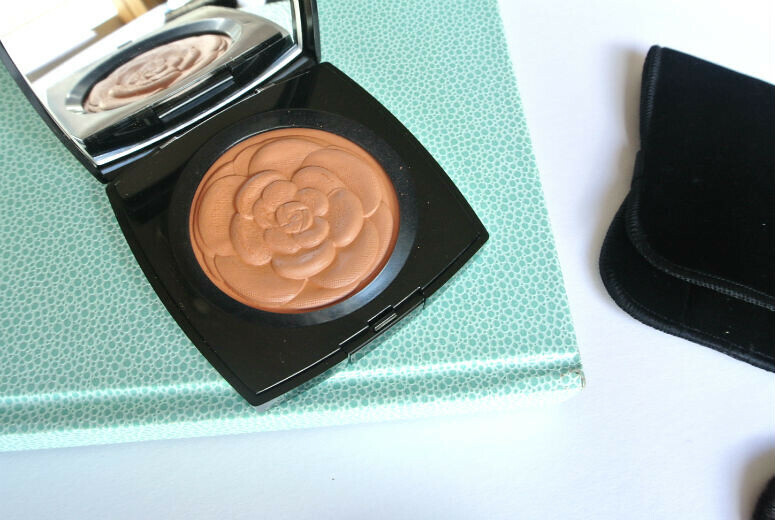 A medium-toned bronzing powder, this has really really floated my boat so to speak. It may look quite dark in photos, but with a big fluffy brush, I can apply this without worrying taht I'll turn into an orange oompa-loompah. Instead, this gives that healthy, glowing look that I love Chanel products for. This gives just that right amount of a sunkissed look. While I tend to avoid brushing it all over the face, I think placing it here and there for a little light contouring works really well. As for the looks of the product, well, it's Chanel. What more could you ask for. It's beautiful. Almost too beautiful to use. Almost. It came in its own elasticated velvet pouch, with a special pocket for a little brush that came with it, but in all fairness, I will never use that brush unless push came to shove for travelling. That, and I hate carrying the Chanel velvet pouches about, it makes me very upset to get them dusty and dirty! If you're interested in buying, then Selfridges still has some in stock.